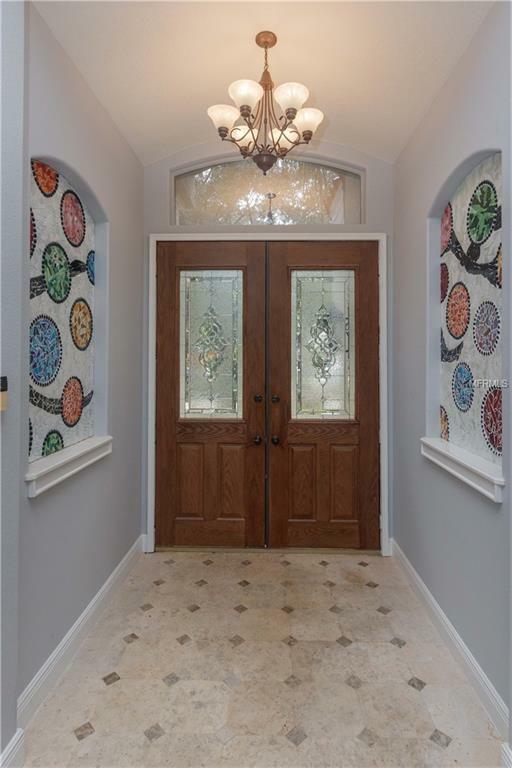 Custom ranch style pool home on half acre lot in the beautiful community of Lake Forest! Brand new tile roof with lifetime warranty for new owner! Newly re-plumbed, newer exterior paint, new skylights and newer stainless kitchen appliances. Kitchen features granite counters, island with second sink, double ovens, trash compactor, breakfast bar and beverage fridge. New flooring in main living area. 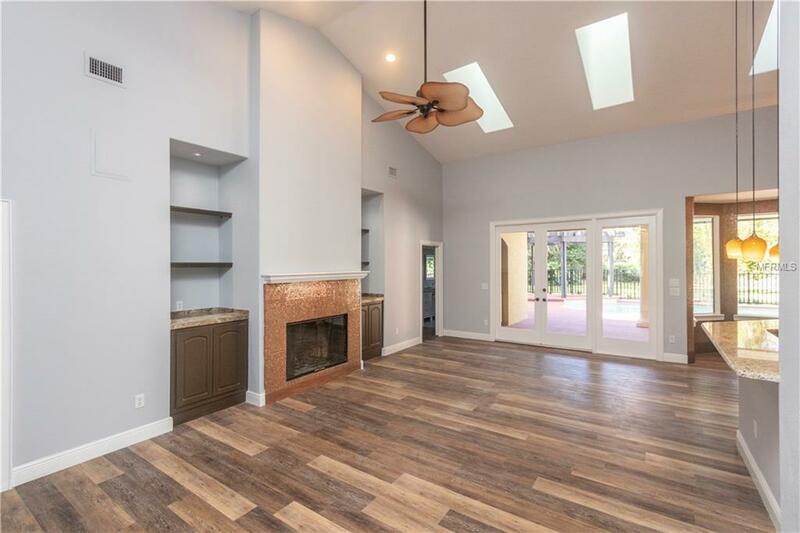 Open floor plan with three-way split bedroom plan and soaring ceiling in family room. 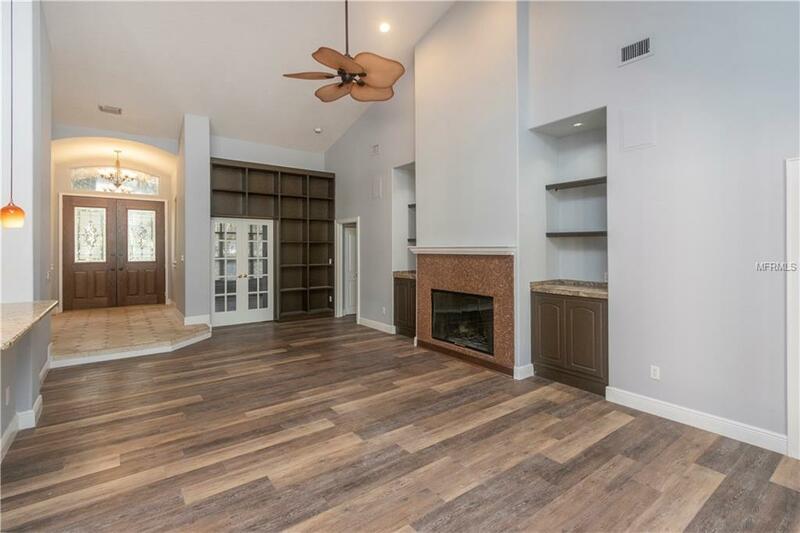 This home has an additional air-conditioned studio with a separate entrance overlooking the pool that would make a great second office, bonus room or teen hangout! Pool is over-sized and has an energy efficient variable speed Intelliflo pool pump. Garage has an entire wall of storage and epoxy finished floor. Located on a quiet cul-de-sac, the home has a nice pie-shaped lot, generous sized fenced back yard and remote controlled electric gate by garage. Award winning community of Lake Forest offers a 24-hr guarded & gated entry & resort-style amenities: 10,000 sq ft clubhouse w/fitness room, Jr. Olympic-sized swimming pool & heated spa, playground, a 55-acre private spring-fed lake, a fishing pier, 6 lighted tennis courts & a sports court. 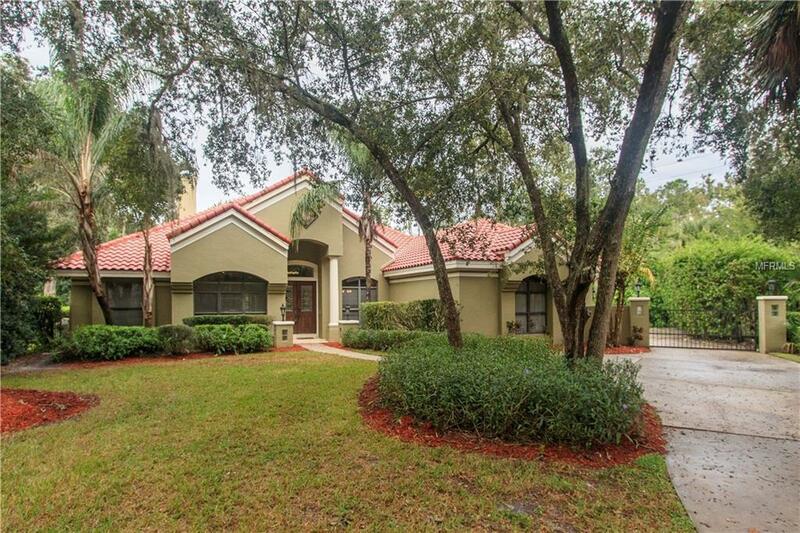 Lake Forest is close to I-4, 417 & all that Central Florida has to offer!